$3.99 to $79.99 & FREE Shipping on orders over $59 $35. 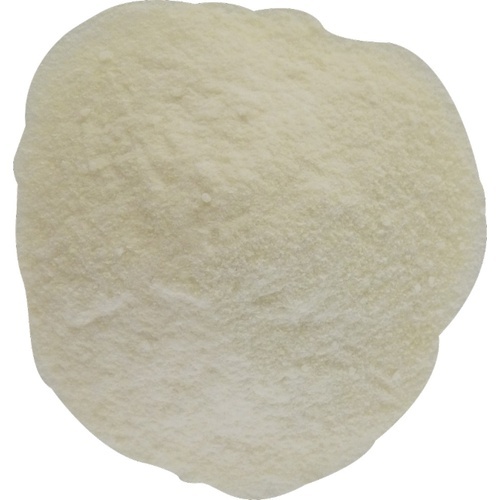 Caseinate de Potassium, formally Caseine Soluble, is a concentrated, powdered form of Potassium Caseinate produced from milk. Helps eliminate oxidized phenolic (brown colored) and bitter compounds in white wines, rose wines, fruit wines, and meads. Caseinate de Potassium can be used preemptively in the must or as a curative step on finished wine. Add the pre-measured amount of Caseinate de Potassium to 10 times its weight of cold water (do not use juice or wine). When completely dissolved, add the mixture slowly to the juice or wine while stirring continuously (for juice, add Caseinate de Potassium before settling). Once added, strongly stir the entire wine volume to get the Caseinate de Potassium to integrate with the wine. Once Caseinate de Potassium has been dissolved, use the preparation within 2 hours. Minimum contact is 2 days, maximum 15 days. The amount needed for your specific wine is best determined by a bench trial. A rough approximate of weight is 1 tsp = 2.3 grams. We highly recommend using a scale to weigh the product for an accurate dose. 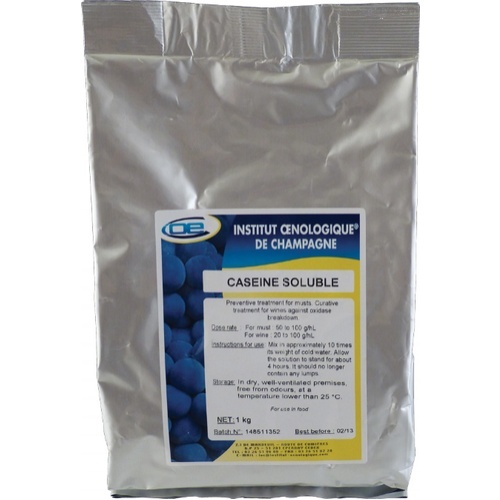 We do not recommend relying on these rough conversions for accurate dosage rates.